Figure42. 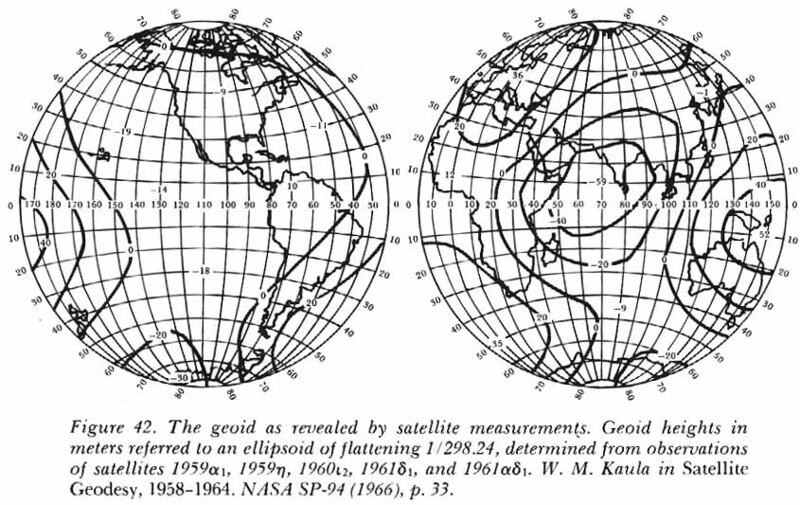 The geoid as revealed by satellite measurements. Geoid heights in meters referred to an ellipsoid of flattening 1/298.24, determined from observations of satellites.